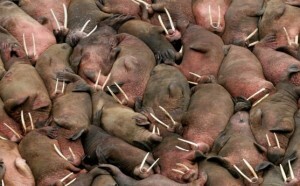 Check out this new live cam showing Bristol Bay, Alaska walruses! 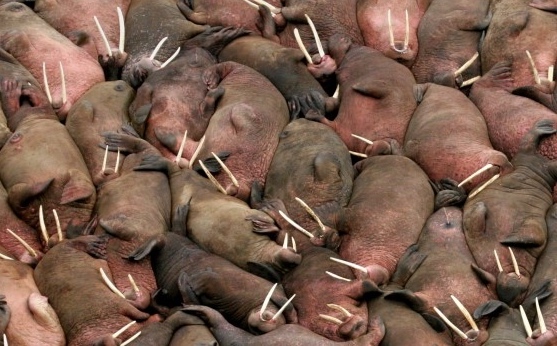 Each year, while female walruses and their young pups follow the receding ice north, the males “haul-out” to laze around the warmer beaches of Alaska’s Bristol Bay. It’s basically a pinniped bachelor pad of belching and fighting. These guys might not be pretty, but you won’t look away: Round Island is so remote and difficult to access that our live cams offer otherwise unseen warts-and-all walrus action. More details and some geography at Quartz! Giving a talk? Or some other form of public speaking? For some more guidance on various types of public speaking consider these tips. Also, all you folks out there who speak in public should spend a year or two with one or more of your local Toastmasters clubs. I have not made the progress I thought I might, not even close and will not document much that has already past. The goals are still mine but my path has diverged rather dramatically over the past 3.5 years and I do not have a lot to show for developing expertise in any of the areas mentioned in my initial post. My divergence, to the extant I document it, will be reviewed in my private journal. No other excuses. Just recognition that I did not go where I had intended at that time. And, yes, I am still of a mind to pursue these and other goals. However, I know that I have a multitude of learning and action goals and that I struggle with having the laser focus needed to really master any one discipline. I’ll have a lot of fun but that so-called expertise will be elusive. I will continue to keep this as my personal learning space and keep my political action oriented stuff on other sites. No, I do not plan to link to those at this time. There are a couple areas of progress. I started studying Spanish again (last time was in the 9th grade) earlier this year and have been keeping at it much more steadily than any of my other educational projects. I look forward to reading, understanding and comprehending, inter alios, Borges and Marquez in Spanish. Soon I will put up a Spanish page and perhaps start documenting the work I am doing and the resources that I am using. I have taken a couple online courses dealing with the basics of Complexity from the Santa Fe Institute. Good stuff and an area that we all need to understand! One area I might incorporate into this site is stuff related to urban development. This can bleed over into politics and philosophy but there is much that ties to complexity as well as the way we live in this world. This will be the hook and will likely lead to some more politically oriented stuff finding its way onto this site.